Launch and mission controllers are at their consoles this afternoon in a dress rehearsal for the upcoming launch of NASA’s OSIRIS-REx spacecraft aboard a United Launch Alliance Atlas V rocket. NASA’s Kennedy Space Center and Goddard Space Flight Center, United Launch Alliance and Lockheed Martin all are participating in today’s test. 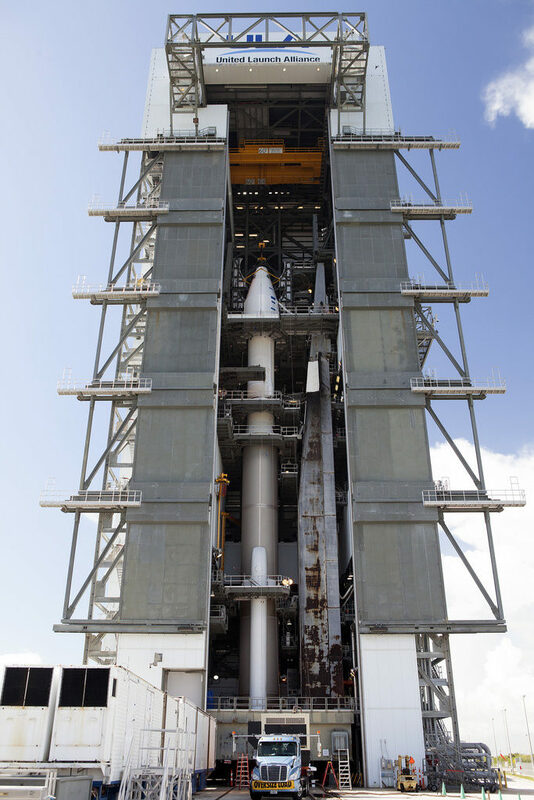 OSIRIS-REx is sealed inside the payload fairing and already in place atop the rocket at Space Launch Complex 41 on Cape Canaveral Air Force Station in Florida. The launch team is based at the Atlas Spaceflight Operations Center a few miles south of the launch site.